Find the main trailhead behind the St. Germain Chamber of Commerce, where Highway 70 meets Highway 155. This trail connects with Sayner, and passes a wayside with restrooms, a picnic area and the Awassa Nature Preserve & Hiking Trail for those in the mood for a shady, level walk. The main trailhead located in the Bike & Hike Park behind the St. Germain Chamber of Commerce, at the intersection of Hwys 70 and 155. Parking is also available at the east end of the trail across from South Bay Road, and at a lot on Old Hwy 70. Park at Froelich Drive and Highway N (behind the log building) to access this trail. It runs from Highways M & N east toward Sayner, passing the Crystal Lake Campground, beautiful lakes, and picnic areas for a quick lunch or snack stop. The trail passes through Sayner just one block off of Main Street. 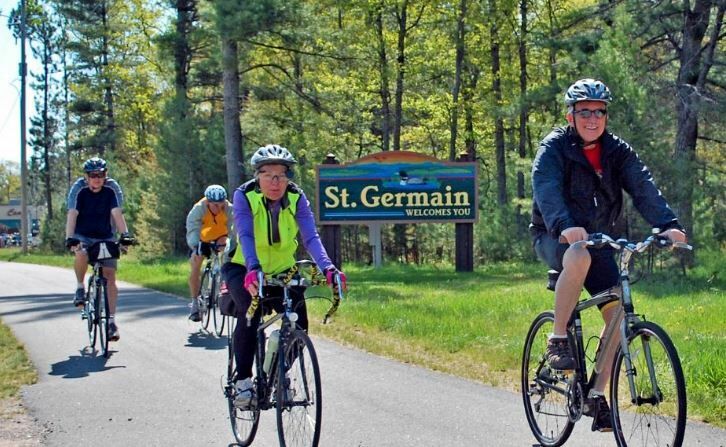 To the south, you can follow the trail for 12 miles, passing Lost Lake and Big St. Germain Lake before heading into St. Germain. To the north, the trail passes near picnic and bathroom areas on Big Muskellunge and Crystal Lake before skirting the shore of Trout Lake on the way to Boulder Junction. Boulder Junction’s portion of the Heart of Vilas Trail winds within the Northern Highland-American Legion State Forest and through historic Downtown Boulder Junction. 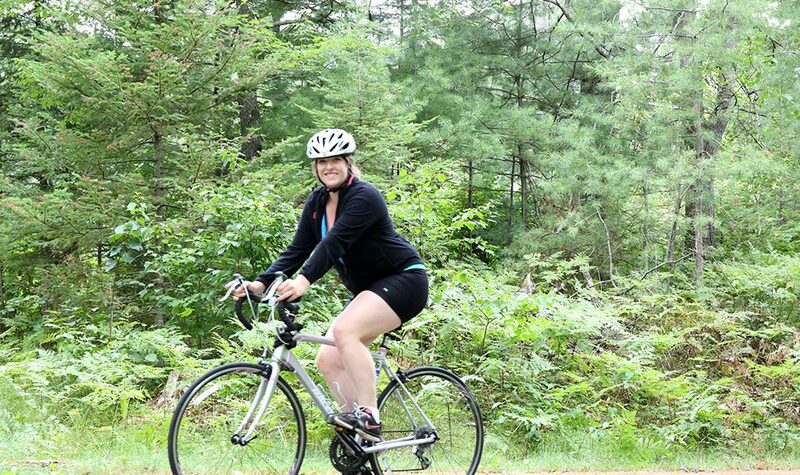 Bicyclists will find several trailheads so they can choose to ride varying lengths depending on their skill level. Parking can be found on the southern leg at Crystal Lake Campground on Hwy N, the intersection of Hwy M and Hwy N, Cathedral Point on Hwy M, at the Community Sports & Rec Park on Hwy M. On the northern leg parking is located at the intersection of Hwy M and Dairymen’s Road. And for those wanting to park on the western leg, parking areas are located at Hwy K and Camp Manito-wish Road, the wayside at the intersection of Hwy K and Hwy H and at Little Rice Creek on Hwy K.
Riders will find plenty of opportunities for photography at one of many scenic lakes, rivers and bridges. Stop off at a picnic area for a quick snack or take time for a swim at Crystal Lake, North Trout Lake or Nichols Beach. Two off-trail scenic detours area also accessible from the paved trail system – at Nichols Lake Road of Hwy H (winds by the park and beach area) and at Bear Lake Road off Hwy K (to Little Crooked and Round Lakes). You can access this trail from several points, including the Manitowish Waters Community Center, Koller Park, Rest Lake Park and the North Lakeland Discovery Center. There are restrooms and water stops along the way, plus a playground. 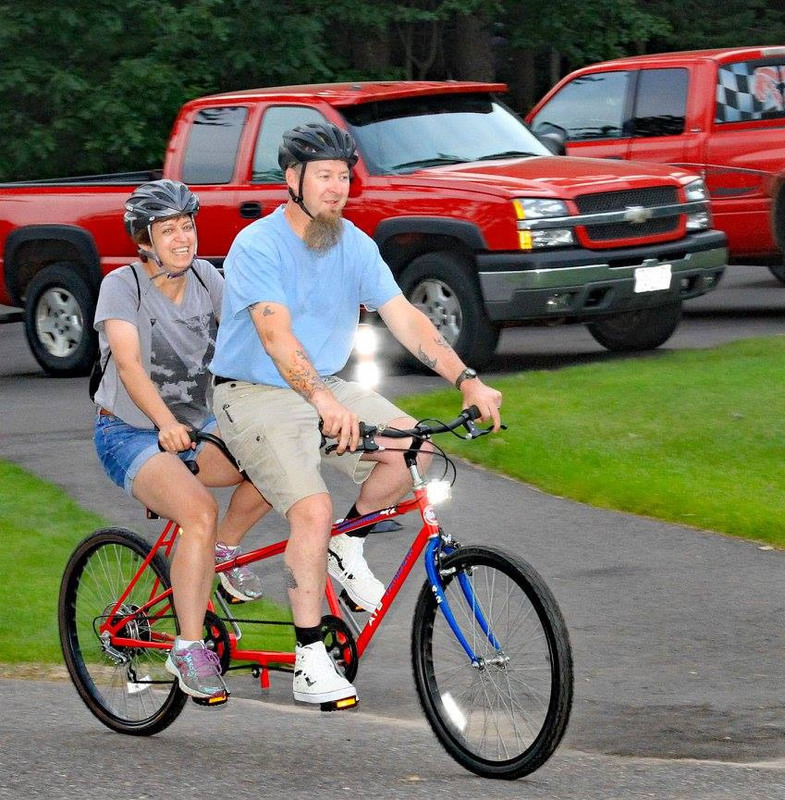 If you’re up for an extra-long ride, take the trail from community to community. Park in St. Germain and follow the trail through Sayner, Boulder Junction and into Manitowish Waters. Or start in Manitowish Waters and make your ways towards St. Germain. When hunger calls, stop in one of the area’s quaint restaurants before continuing your excursion along this beautiful trail. 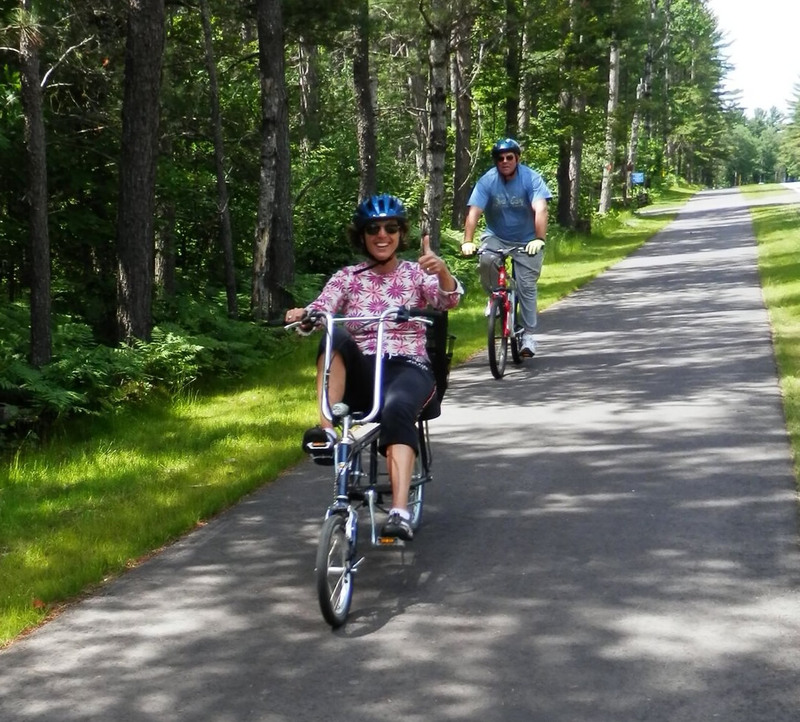 Mercer continues to build on its reputation as a great outdoors destination with the addition of a 7-mile paved hike/bike trail that extends from Mercer south to Manitowish Waters. The northern trailhead is at Snow's Family Market on Mercer's south side. The trail continues south on its own path paralleling U.S. Hwy 51 to the county line. It's family-friendly and offers great scenery. Three stretches are paved with asphalt while other sections follow the lightly used Plunkett Road, Manitowish River Access Road and Old Hwy 51. A 40-foot bridge was placed over the Manitowish River via the Manitowish River Access Road to accommodate hikers and bikers. 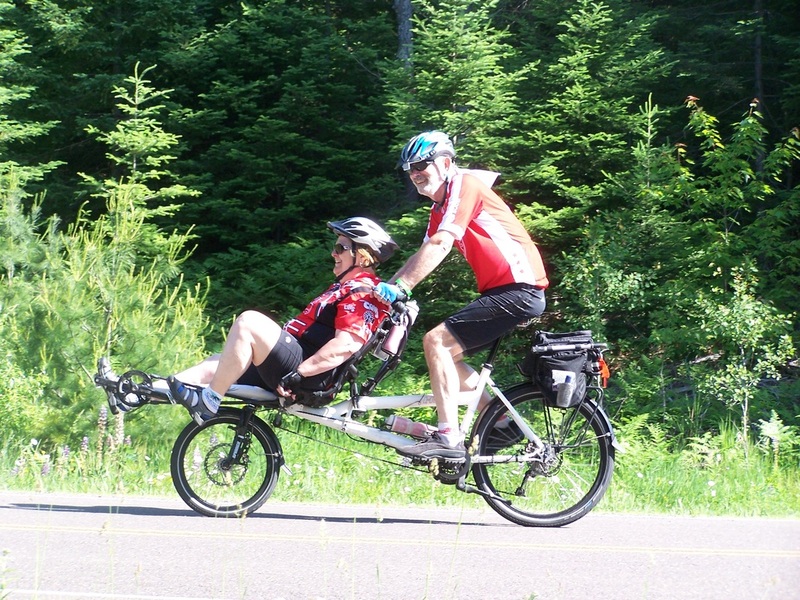 © 2019 Heart of Vilas County Bike Trail System.